Increasing productivity, minimizing cost, maximizing efficiency. Not only are these the goals of your business, they are the cornerstones of saving you money on your data networking needs while providing a safe, secure, and reliable data infrastructure. From Voice over Internet Protocol (VoIP) to large scale enterprise networks, our trained and certified experts will help you assess your networking needs. 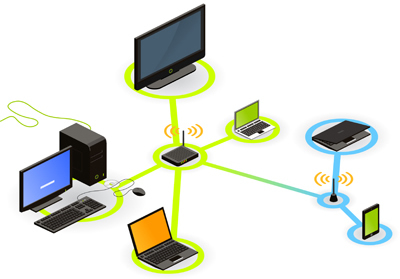 From wiring buildings to simple Local and Wide Area Network (LAN/WAN) switching, Star Communications is your hometown cooperative with the knowledgeable staff and certified technicians to handle all your data networking and design needs.